Hello there my beautiful flower child! Today I am happy to share with you some of the best bohemian trend must-haves. I am not going to talk about patched denim or macramé vests. We are here to talk about more romantic options that are elegant, ethereal and look fabulous. I am 100% sure you gonna fall in love with these tiered, floral-emblazoned dresses in loose-flowing silhouettes. No matter if they are silked chiffon gowns of embellished tulle maxis. I have made up and updated this shopping list to help you complete free-spirited outfit. Here are shown everything from fringe to flares and flowery headbands. Of course, nothing works properly if you don’t have the right inspiration. I have made this beautiful street style collection that is full of beautiful style ideas. This white dress with crochet details looks awesome. 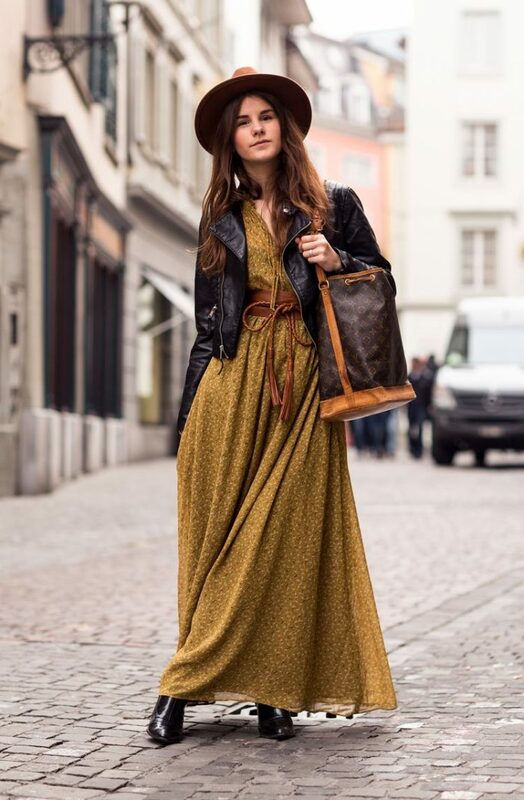 The most important part is to complete it with boho chic accessories, that’s why I recommend to add a black wide-brim hat, buckled ankle boots in black leather and fringed shoulder bag. Speaking of fringes, then I advice to have a look at my post about ways how to wear fringes this summer. You are about to see lots of interesting ideas where fringes appear on clothes and accessories. If you not sure how to achieve a boho look? Don’t worry, as I have plenty of stunning ideas for you. All you have to do is to make the proper mix and add that special sloppy hippie vibe. Be sure to go easy on the color combinations, length and layers. I highly recommend avoiding everything that is bigger than your body frame. If you decided to try something big, then be sure to frame your ladylike silhouette. Always, I repeat, always step a few feet away from the mirror and take a look how clothes fit your frame. Keep it feminine and chic by mixing oversized with semi-formal clothes. For instance, if you are wearing an exaggerated cardigan or tunic top, then add a pair of slim-fitted jeans, so you look balanced. 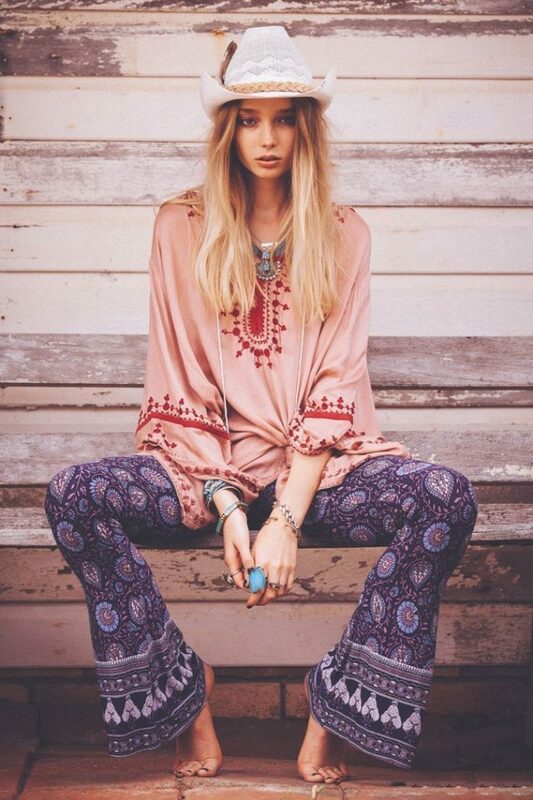 Personally, I do like boho glam looks, but there are girls who prefer boho rock, boho casual or boho classy. Don’t be afraid going ethnic. The boho look is influenced by every corner of the world, so add a little bit of exotic flair to your outfit. Hope all the points I’ve stated above will help you to achieve a chic boho look. This beautiful maxi dress looks tremendously chic! A perfect boho style for women who are in search of simple garments that can easily make them look boho-chic! Speaking of dresses, I remembered my post about tie-dye dresses that are chic and boho inspired. I highly recommend to check it out and see what’s trending right now. Do You have any thoughts about Bohemian Trend Must-Haves For Women? 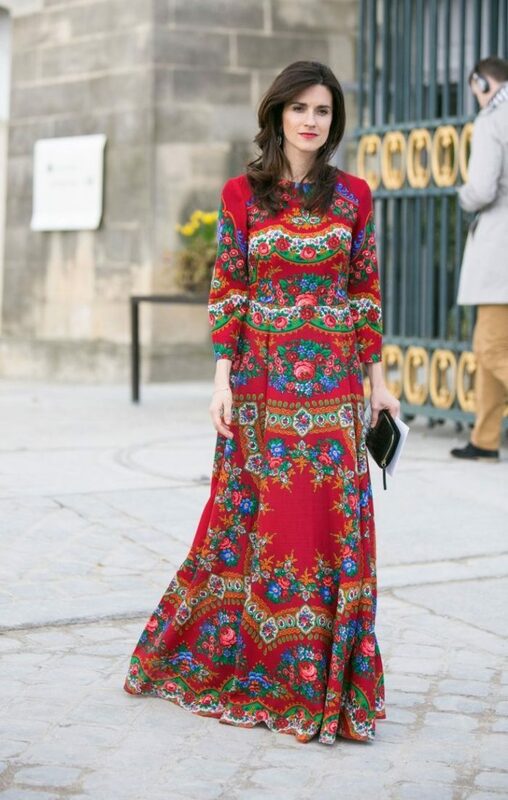 Here are Fashion Tips pictures and trendy women’s outfits which are in style in 2019: Big Cardigans, Bohemian Must haves, Boho Chic Outfits, Boho Trends 2018, Chiffon Gowns, Denim, Flowing Skirts, Free Spirited Clothes, Hippie Style, Must Have Floral Dresses For Women, Oversized Boho Clothes, Street Style Women's Fashion And Inspiration and tips on how to wear them on the streets. I love your pictures, but most especially the gray dress (girl in front of a gray stone wall), can you tell me who sells it?